New Zealand quake’s strange side effect: What are earthquake lights? But it isn’t prophetic? All these are explainable phenomenons that are happening back to back to back? In addition to the ‘warnings’ that are signs of the worst yet to come, we’ve been given instructions concerning how to make it through. I would probably start looking into the instructions before you start experiencing the paranormal (warnings concerning the paranormal also) & the prophesied ‘sudden destruction’ over takes you. 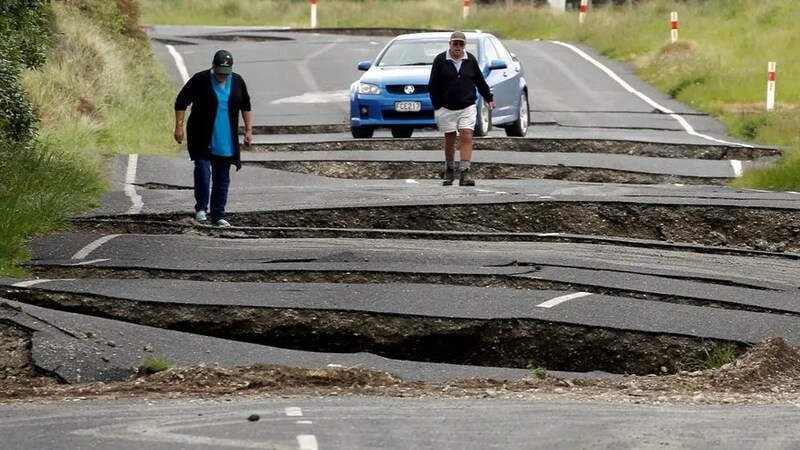 The magnitude-7.8 earthquake that rattled New Zealand early Monday morning local time (Sunday morning EST), killing at least two people and stranding many others in the region, also had a strange side effect: eerie blue and green flashes of light in the sky during the shaking. Only in recent years have seismologists taken reports of these so-called earthquake lights seriously. It turns out that researchers still don’t fully understand the phenomenon, but they do have a few clues about where and why it occurs. Also in 2014, researchers showed that shifting grains surrounding a fault may generate an electrical charge, though exactly why this happens is poorly understood. Observers have documented shimmering earthquake lights more than 60 times over the past several centuries. In 2009, for instance, before a major earthquake struck L’Aquila, Italy, bystanders reported what looked like flames sizzling from the sidewalk, and in Canada’s Yukon Territory in the 1970s, ghostly green orbs that were floating in the sky were initially thought to be UFOs but were later determined to be tied to a nearby quake. But until recently, many researchers discounted these reports as hearsay. But with the widespread availability of smartphones, these strange events are now being documented more frequently. In 2014, Freund and his colleagues showed that 97 percent of earthquake lights documented since the 1600s occurred at faults that were within continental plates, rather than at subduction zones, where one plate is diving beneath another. They found that 85 percent of the incidents occurred where Earth buckles and creates a steep ravine or drop in the Earth. This fissure allows magmatic rocks that originate deep belowground to gradually migrate up toward the surface, where they discharge energy. Because of how the atoms in these rocks are organized, they may generate an electrical charge more easily, flow upward to the surface, ionize the air and generate the light show, the researchers speculated. In this scenario, earthquake lights may not even be tied to earthquakes. Changes in stress at a fault can occur either due to a catastrophic rupture or because of a slower release over days, and both forms could generate an electrical charge that ionizes the air, according to the research. In a separate study detailed at the 2014 American Physical Society meeting in Denver, researchers filled Tupperware containers with mixtures of plastic discs, glass particles and powders, such as flour, and watched what happened as they stuck and slipped past one another. These mixtures were meant to mimic the way grains of Earth move in an earthquake zone. The researchers found that the mixtures reliably generated high voltages when tipped, even though they could not explain why.